Vermont Law Firm | Vermont Attorney | Vermont Lawyer | FG&M, P.C. Vermont Law Firm Facey Goss & McPhee P.C. was founded in May, 1984, by a team of attorneys who came from diverse legal backgrounds and competencies. They saw a need for a Vermont-based law firm uniquely suited to providing a comprehensive range of legal services that was typically available only from “urban” law firms. Among our firm’s founders were two established general business/ Vermont land use law specialists from the Rutland area, a former general counsel of a major international corporation, a former First Assistant United States Attorney, and an insurance defense litigation specialist. 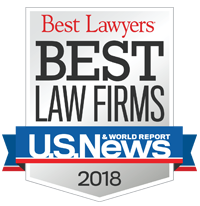 Since its founding, our Vermont law firm has assumed a leading position in the New England community and has been recognized for our legal expertise and the dedication of our attorneys and staff. Our Vermont attorneys are also actively involved locally, participating in numerous professional and community organizations. The firm presently has eight partners, five associates, and one "Of Counsel," making it a mid-sized firm by Vermont standards. Every one of our Vermont attorneys brings a wealth of professional experience in their respective practice areas, with a particular expertise on the intricacies of Vermont law. This focus has allowed our firm to establish itself as a leading legal resource in the Green Mountain State, and a reliable partner for many clients who have turned to us for their Vermont legal aid.